Quality lift equipment provides operational advantages for any business with material handling needs. Hyster is a worldwide organization offering a broad selection of material handling equipment and solutions tailored to your specific requirements. If you’re looking for a reliable source of Hyster forklifts for sale in IL and beyond, Chicago Industrial answers the call with service, selection and value. Hyster calls on innovation in product design and manufacturing to develop highly productive, durable, safe and fuel-efficient lift trucks. We offer a complete selection of Hyster forklifts including large container handlers, reach stackers and all types and sizes of forklift trucks and warehousing equipment. 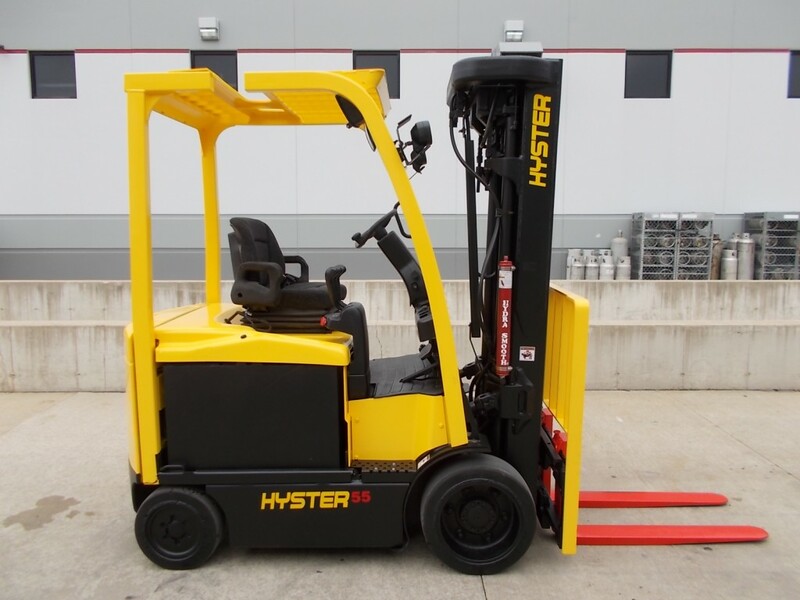 New and used Hyster forklifts can handle all kinds of palletized or non-palletized loads and offer a capacity range from 2,000 pounds to 115,000 pounds. From three- and four-wheel electric trucks, order pickers and tow tractors to very narrow aisle, internal-combustion-engine pneumatic tire and cushion tire forklift models, we have it all. We’ll help you find the right equipment to handle your toughest applications. In IL, across the continent and around the world, Chicago Industrial is the name companies trust for reliable used Hyster forklifts. Our pre-owned solutions provide an economical way to access the high-quality lift equipment you need. We completely reconditioned our extensive inventory of Hyster lifts to last and perform in the most challenging work environments. To make our Hyster forklifts for sale even more affordable, we can arrange financing for your new or used purchase. We partner with Direct Capital, a reputable nationwide lending provider, to offer a full range of options that we can customize to your unique requirements. Simply submit an online application, and you’ll receive a response within 24 hours. We’re not only your go-to source for material handling equipment in IL and the surrounding regions, but we’re also able to accommodate the needs of national and international businesses. We ship to virtually anywhere on the planet. Shop our inventory of new and used Hyster lifts for sale and get in touch with us at 815-744-8811 for a free competitive quote. Chicago Industrial makes it easy to find the forklifts you want at a price that makes sense for your budget. At any given time, we carry more than 500 lift trucks, including late-model, well-maintained used Hyster forklifts. If you can’t find exactly what you’re looking for, let us know, and our dedicated team will locate it for you. Having access to the right lift equipment is the first step to achieving improved safety and efficiency. Partner with Chicago Industrial today for a complete range of material handling solutions capable of helping your business achieve its goals.